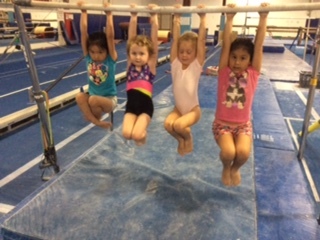 Lakeshore Academy has had the leading preschool gymnastics program in Chicago for over thirty years. Our preschool classes are incredibly popular and a great way to develop and focus your child’s natural energy. In our fun and engaging classes we will help your child develop the strength, flexibility, and coordination necessary not only for gymnastics, but for all sports. Child should be at least 3.5 years old or be approved by a tot instructor, and be able to stay independently with the teacher for the class time. This class focuses on building physical coordination, as well as basic gymnastics skills. Child should be 4.5 years old or recommended by a teacher. This class focuses on mastering basic skills on the equipment and begins to work on more difficult skills as well as combinations of skills.